Simply click 'Visit site' to open their website in a new window or tab. Avian Diseases is the official publication of the American Association of Avian Pathologists. It is published four times a year and contains full papers, research notes and case reports related to the field of avian diseases. 'IHP' is the global technical magazine for hatchery and breeding professionals. Published 8 times a year and covering a wide range of topics to interest breeders, hatcheries, incubationists, veterinarians, nutritionists and everyone else in modern hatchery management. 'IPP' is the global technical magazine for professional poultry producers. Published 8 times a year and covering a wide range of topics to interest producers of turkeys, eggs, and ducks. Read by veterinarians, nutritionists and everyone else involved in modern poultry prouction. 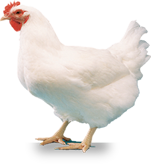 poultryworld.net offers free subscription to its e-newsletter. World's Poultry Science Journal provides authoritative reviews in poultry science and an international forum for the exchange and dissemination of information including research, education and industry structure. Each issue includes poultry industry related news, regional reports on global developments in poultry, reports from specialist scientific working groups, book reviews, association news and a calendar of forthcoming events.